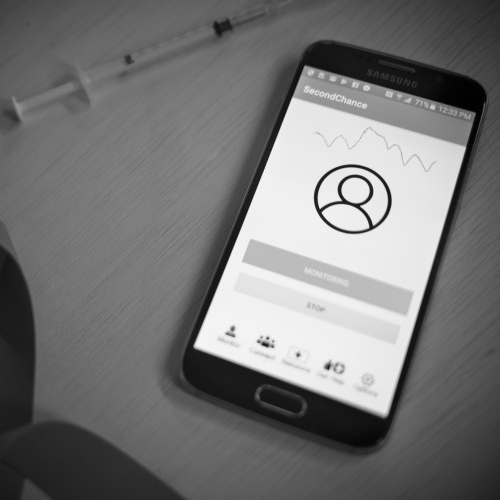 Researchers at the University of Washington have developed a cellphone app that uses sonar to monitor someone’s breathing rate and sense when an opioid overdose has occurred. The app, called Second Chance, sends inaudible sound waves from the phone to people’s chests and then monitors the way the sound waves return to the phone to look for specific breathing patterns. In testing, the app accurately detected overdose-related symptoms about 90 percent of the time and could track someone’s breathing from up to three feet away.